Infinity Tent Sales has been spent a good part of last year developing a heavier duty, 4-ply, long lasting, pinhole resistant tent material. I am happy to announce we have perfected this product and the material is now available to you with Infinity Tent Sales. would hold extremely well to the inner scrim material. The material is closer now to a 17oz product. This make it 6% heavier and stronger that other others manufacturers 16oz. 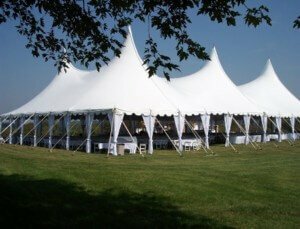 Just another reason Infinity Tent Sales is the Innovator in Top Quality Tent Production. We are raising the bar for the best tent on the market. Making Quality Commercial Tents for over 35 years. So we can get you to the correct Sales Representative. I would like to receive an email when new specials become available.